Just as Croatia’s dream run in the World Cup was stifled by a pre-tournament favourite, so too did North Geelong Warriors’ undefeated streak end at the hands of NPL2 promotion favourite Altona Magic. The contest won’t get any easier, either, with the Warriors facing sister club St Albans Saints on Sunday at Churchill Reserve. St Albans sits third, just ahead of North Geelong on equal points. St Albans managed a 1-0 win last week against Sunshine after starting brightly. After missing a penalty in the 10th minute St Albans was forced into a scrap and eventually got ahead in the 45th minute thanks to Roddy Covarrubias. The result almost took a turn for the worse in the last minute of the match when the referee awarded a penalty to Sunshine, which ended up not being converted. 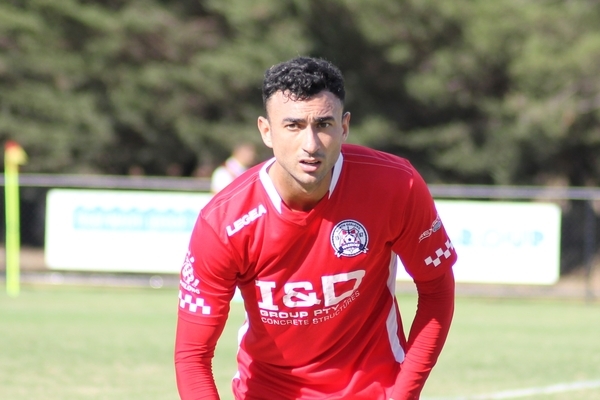 North Geelong will need to work on managing control for longer periods after allowing the opposition to dictate the tempo of the match at Altona. Going down inside five minutes is often a sign of concentration lapses, on which coach James Coutts will be hot for the week. Despite the early set back, the Warriors fought back when Darius Madison converted a Dom Marafioti set piece in the 39th minute only to allow Altona in again a few minutes later, leaving North Geelong 2-1 down just before half time. Altona sensed its opportunity to strike and keep at the Warriors, capitalising again five minutes into the second half to go 3-1. With the last quarter of the season now in play, attention will turn to who can maintain form and set the scene for who finishes in the promotion hunt among the three sides separated by a point for second spot. Good form continued for North Geelong’s under-20s though with a 2-1 win thanks to goals courtesy of Ben Tucak and Marco Farrel.